Music theory is easier than you think! If you can do basic math, you can learn music theory. 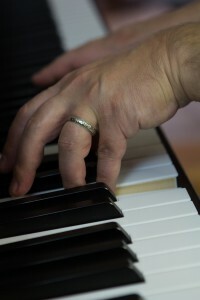 Theory is a part of learning any instrument, but I also teach it separately if desired, for players of any instrument. Every musician should know the basics of keys, scales, and chords, and how they all relate to each other. If you’re interested in playing a solo or writing a song, you should learn some theory. Like I said, it’s easier than you think!